Paraguay has two Adventist hospitals, a clinic, and a health education and lifestyle center. The country of Paraguay has a population of 6.8 million, of which approximately 112,848 are indigenous people. These natives represent 19 people groups from five different linguistic families. The native people of Paraguay live in their own communities, located mostly in the northern part of the country. Unfortunately, many of them don’t have access to clean drinking water, electricity, or basic education. A leader of one of these communities had heard good things about a Seventh-day Adventist primary boarding school—Escuela Adventista de Coaaguazu—situated in the south-central part of the country. He wanted his young grandson, Pedrito, to receive a good education and so enrolled him in the school. Even though he was just 7, Pedrito loved this school where he felt he was a part of one big family. He learned how to read and write, do arithmetic, and even more important, where he learned about the God who loves him. He also learned Christian lifestyle and habits, such as offering a prayer of thanks before eating a meal. When Pedrito came home during a school break, he was excited to share his new experiences with his family. As they sat down to eat a meal together, Pedrito noticed that everyone just started eating. Feeling somewhat awkward, the 7-year-old boy bowed his head and offered a silent prayer of thanks. Before long, the grandfather came by and asked Pedrito why he was eating outside. “My daddy doesn’t want me to pray for the food, so I came out here,” replied the boy. Happily, the school sent a pastor to the community, where he mingled with the people and taught them from the Bible for three months. The grandfather, Pedrito’s mother, and 17 other people from their community were baptized. As time went on, more baptisms were held, and now more than 40 people are baptized members of the new Seventh-day Adventist church in this community—a church planted by a little boy who wanted to thank God for his meal. 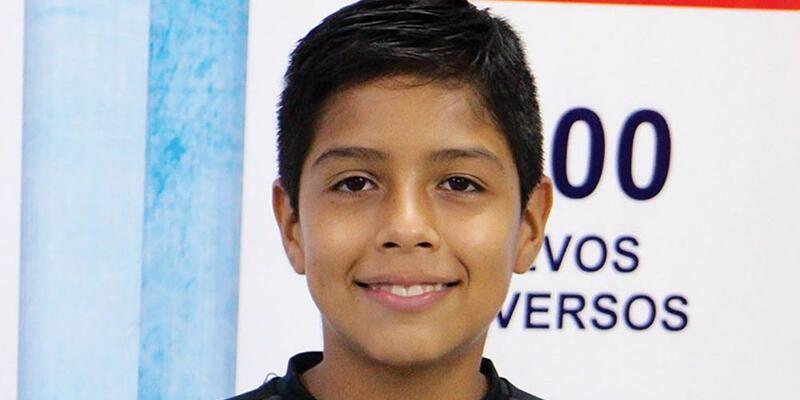 While he has not yet been baptized, Pedrito’s father often attends church with his family. Because of Pedrito’s testimony, seven more children, including his younger brother, are now attending Escula Adventista de Coaaguazu. Pablo lives in the capital city of Asuncion, where he attends church each Sabbath. When he was very small, Pablo enjoyed sitting in the front row and drawing pictures of the preacher. Being an excellent artist, Pablo’s pictures captured the expressions on the pastor’s face as he preached. As he drew, Pablo listened intently to the sermon, and by the time he was 6 he was preaching his own sermons. “I like to preach about Joseph or Daniel, or sometimes about kids who don’t want to obey their parents and then I compare what they’re doing with what the Bible says,” Pablo explains. Pablo’s preaching started when he was invited by a Sabbath School teacher to have a small part in the sermon that would be presented at church. He was so excited that he quickly memorized what he was going to say. After preaching, Pablo was told by his teacher that he was very gifted and that she believed God was calling him to preach. Surprised and happy, Pablo started accepting preaching invitations from many other Adventist churches in Paraguay. During the past six years, Pablo’s preaching ministry has grown, and he continues to preach in both small and large churches, and will often preach during evangelistic campaigns organized by the Paraguay Union of Churches.